Are you looking for a safe and natural alternative to the antidepressants your doctor is suggesting that you should take? Ibogaine is a psychoactive substance occurring naturally in certain plants that has traditionally been associated with helping people fight addiction to drugs and alcohol. It was recently proven beneficial to people fighting mood disorders such as depression, anxiety, and PTSD. With more than 16 million adults being affected by depression every year, it is vital to have as many efficacious treatment options as possible. Depression is often caused by deeply seeded emotional issues that if not brought to light and worked through, can lead to much deeper, chronic depression. What makes ibogaine one of the best treatments for mood disorders is that it allows you to experience your memories from a different perspective. Instead of finding the negatives in an experience, you will be able to see the positive outcomes of what has happened. This makes it easier to see past the emotional walls that may have built up and affected their mental well-being negatively. By systematically breaking down these walls, it is entirely possible for all the symptoms of depression to be treated. Hopelessness is a symptom of depression that can become overbearing. Using ibogaine to treat depression is way of offering hope to an individual who needs it most. Health care practitioners noticed that when used to treat addiction, patients expressed how much hope it gave them to go forward and live a healthy life again. This effect is no different when the substance is taken by those who suffer from depression. Overcoming depression becomes achievable once hope is restored. 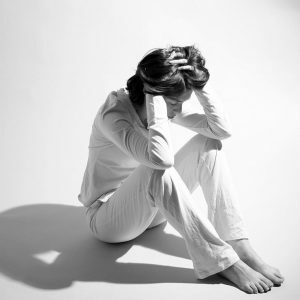 How does ibogaine work to fight depression? What makes ibogaine one of the safest natural treatments for depression is that it places as much emphasis on the spiritual side of self as physical needs. When taken in small amounts, it acts as a stimulant by increasing energy levels, much like caffeine would when an energy drink is consumed. When taken in large amounts, it becomes a psychoactive compound capable of creating visions and introspection. These visions can last up to 5 hours and in theory, can help individuals conquer their fears as well as the side effects that fear and depression create – depression. Ibogaine works because it affects different neurotransmitter systems in the brain at the same time. It also works best when taken in low potency doses, which means that taking high doses of the drug may cause neuro-toxicity when used over time and may even cause degeneration. If you are interested in treating depression with iboga drug, you need to know how much is the ibogaine treatment cost since this is not available in the US. There are numerous ways of managing stressful emotions – exercise, diet, and “mental outlook” being the most important factors. Unfortunately, they may take a lot of time and in most cases, patients look for solutions that provide faster results with less effort. Prescription drugs, on the other hand can be very addictive and have lots of short and long term negative side effects. The good news is that nature has already provided a solution that works fast and is proven to be very effective. It can be dangerous to take ibogaine if you are already taking any medications for depression. Talk to us or visit an iboga wellness center for more information if you are thinking about turning to ibogaine to help fight depression or other mood disorders and are already taking prescription drugs.